I was a complete textbook case of anxiety! I wanted to share my story just as others bravely have to reinforce the astounding impact DARE can/will have in your life, as it has in mine. My anxiety first surfaced 15 years ago. I was young, and on holiday when I first experienced the absolute terror of panic attacks. Little did I know it was the start of a ‘new era’ in life for me, one which will be my biggest battle, but also my biggest and most treasured lesson. As the panic attacks took firm hold of me throughout my twenties I became a shell of who I was. 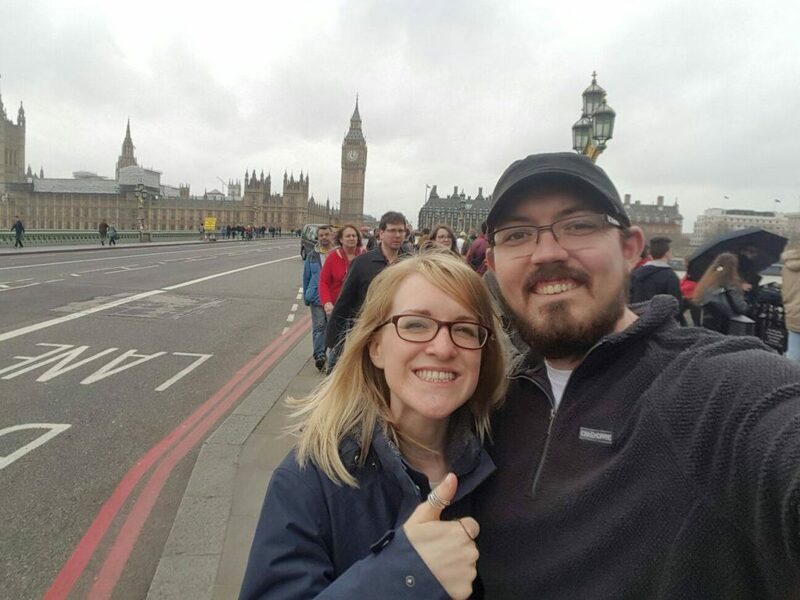 Instead of the boozy camping trips, spending time with friends and enjoying spontaneous adventures I was getting more and more afraid and avoiding life, which eventually resulted in agoraphobia. As Barry says in the book, I was a complete textbook case of anxiety! I experienced a crash course in every anxiety disorder going, along with a cocktail of sensations experienced, the main one being my breathing – a constant distressing feeling of breathing through tar, during which I was utterly convinced I was gasping my final breaths. There was a big jump out of anxiety following a CBT therapy provided by our NHS around 5 years ago. With this I got myself out of the house, moved passed agoraphobia and started having more confidence walking again. I remember how ecstatic I felt walking to the end of my road and back, it was only a few meters but it was a huge accomplishment! I continued to dip in and out of medication, different therapy’s, and somehow, despite letting anxiety be the chief decision maker in my life managed to somehow put together something that resembles ‘normality’ to the outside world. But anxiety still hunted me when I was in any situation out of my comfort zone. I was constantly aware of the ‘dark shadow’ leaching the happiness out of everything, but I thought this was the best I could get. In September 2016 anxiety came at me again full force. Panic attacks started again, I left my stressful job as I just couldn’t cope. I couldn’t sleep, eat, everything was like facing a huge mountain to climb. I was more than devastated. This time, I’d let panic encroach in my home, my comfort zone had become so limited there was literally nowhere left I could call my safe place. After many trips to A&E and told it was just ‘Anxiety’ I was convinced I’d lost my mind and there was nothing that could help me. I felt isolated and very, very scared. My old sensation of breathing came back with full force, So much so – I couldn’t find the courage to walk up the stairs at home as it triggered panic, I wouldn’t get changed when I went to bed in case I had to be rushed to hospital, I daren’t walk outside alone (or be inside alone!) for the fear of having a heart attack/fainting/being unable to breath and no one coming to help me. I came across a video on Facebook of DARE and Barry’s unique approach of ‘getting excited’ by anxiety, and running towards it. I was sceptical as (like we all have!) I’ve read so many books about anxiety. I thought I’ve nothing to lose but to try this approach! After reading the book cover to cover and joining the motivation & support page on Facebook, I started the brave steps to getting my life back. I wrote down goals I wanted to reach which correlated with my biggest fears and made a promise to myself to give it everything I could. I cut out caffeine, alcohol and sugars – started the supplements and worked every day towards my goals. I stuck post it notes all over the house with key phrases I liked out of the book, I highlighted line after line, and put references all over it to as a reminder when I got anxious. One of my hardest goal I had to reach was exercise, but I had to trust Barry’s approach. I bought some trainers and started to learn how to RUN! I’d figured if I can run then I would not fear the breathing so much. The first time I ran it was for a minute, then a minutes rest and then another minute. I cried the whole way through. I experienced the sensations and bravely ‘Dared’ my way through them. I’d decided NO MATTER WHAT I would do the run, even if I crawled my way around, even if it killed me. From then on, every other day I went out for the run with no excuses. I just had to make sure I showed up. I bravely faced tasks such getting back on buses, trams, trains and even most recently the TUBE in London! One of the best things I started to do was to go to a local comedy club, there’s something wonderful about being in a group of people who are laughing hysterically!! In true dare style I would sit in the most anxious seating area to really push myself. Every other day I did a little something to push through. 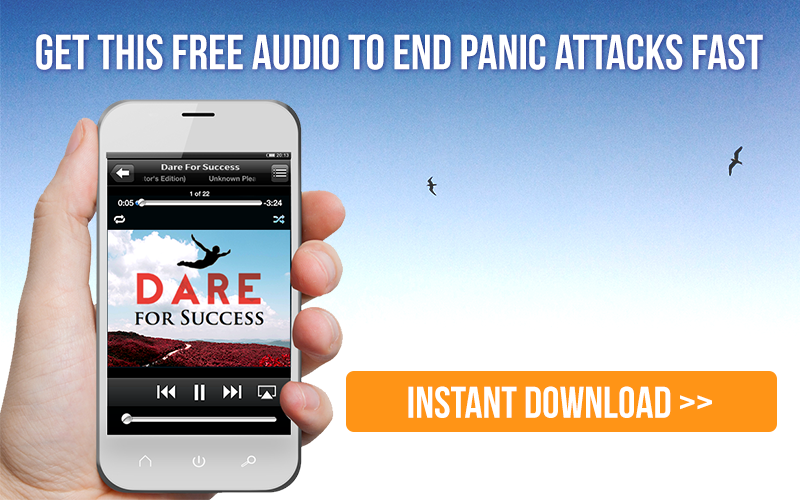 Barry’s Rapid Release Audios helped through the first few weeks of applying DARE. Whenever I felt a panic attack knocking I’d think ‘well I can just ride the wave with Barry, SO WHAT’ and that really stopped my panic in its tracks. I had to be more patient with the generalised anxious and nervous feelings. As I started to really defuse the breathing sensation I started developing intrusive thoughts about depression and suicide (I feared losing control to this drastic point) My body still had the adrenalin racing through it, so it must have reasoned “well if the threat wasn’t her breathing.. It must be this thought!” and latched on!! What creative brains we have!!! I gave it too much attention, and really battled with it. With the help of the DARE support group in particular Suzanne I overcame this; and could truly see it for what it was; an anxious thought and nothing more. I stopped giving it the attention it craved. I can’t stress the impact the two Facebook groups are for motivating and supporting you. One of my biggest breakthroughs was directly related to an inspiring post Paul had on the motivational page ‘Don’t think about anxiety’. The post made me realise I was purposely distracting myself (as opposed to engaging) to avoid feeling anxiety. From changing this I really made strides and strides in my recovery. What did DARE do for me? WOW I can’t find the words to stress what DARE has done for me. I can now sit around my family, laugh and smile to myself and not be constantly thinking about anxiety!! I can plan a holiday (albeit still be apprehensive) but know that ultimately I’ve got this! There’s nothing the other side of my fears!! I can close my eyes and sit in silence and not panic, I’m content in myself and comfortable enough to be still. I can’t remember the last time I had a panic attack – I’m also not concerned if I have another one! I have compassion for my anxiety. I treat it like a child, I feed it with love and gently listen to it before defusing. I now engage in LIFE, I say yes to all those things I use to avoid, I actively hunt out anxiety. Dare has made me face and accept things I never would have before – even before anxiety surfaced 15 years ago! It’s the best tool you are ever going to have. Use it well, practise every day. I now get up early and run a 5k three times a week, 30 minutes of none stop running! (Quite amazing considering I struggled getting up the stairs 8 months ago!!!) Now I have no time to worry about my breathing, I trust that my body knows how to do that, it’s not my job. I’m too concerned about running correctly and making good mile times. It’s something I never believed I could and would EVER do. How did I do it? I followed DARE, nothing more, nothing less – I worked my way through the sensations and didn’t give up. People who experience anxiety are the strongest, most emotionally intelligent and creative souls I have ever met. To face perceived death in the face daily, laugh and keep walking towards it is an enormous level of bravery others cannot appreciate. I don’t like to say I’m recovered only because life is constantly getting more and more incredible by every week that passes!!! But what I do know is that now my fear has been truly challenged and I’ve looked it square in the face and seen it crumbled away into nothing, there’s no going back! I will never again be a servant to my anxiety. Thank you Barry, Suzane, Joni and all the DARE mods in the group. I can’t thank you enough for what you have all done for me. You are a very brace person. I hope to get to where you’re at in your recovery. This has really inspired me. I have signed up to dare but I can’t find the support groups that were mentioned please could you send me a link? Truly inspiring Has given me confidence to carry on daring Thanks for sharing your story!? Would you be able to share the post from Paul? I’m in need of some motivation in overcoming intrusive thoughts that have me in quite a funk. I’d really appreciate any wisdom I can get! WOW very inspiring and Dare really is a life changer. How we managed without it I’ll never know!!!!! I am so very happy for you, and extremely proud of you. Keep up the amazing work. This hopefully should be the link to Paul’s post I mentioned. Thank you for sharing your story – so great to read about people’s inspirational recovery processes. It helps to remind us that we too can finding more light through this seemingly dark journey. If possible can you please share the post you spoke of (paul – re engaging). I have lots of intrusive thoughts also ( a new development in my anxiety rollercoaster) – love any tips on how you dealt with them. Hope you continuing to enjoy life and feel more freedom. Thank you for writing this. My problem is also my breathing, I have no safe place, not even my house. I have started to use DARE and will continue.. your comment about facing the fear of death on a daily basis really resonates.. I will keep pushing forward. I am very pleased that you posted this. I began the DARE response program a few days ago and was doing well until I started expiriencing crashing fatigue that is seriously causing me to question if this program will work for me. I haven’t heard anyone talk about this symptom. Has anyone felt with this and how did you get through it? Don’t be afraid of the fatigue. I just started DARE as well and find that because I am able to do more “Engage”, I become fatigued. Think of an athlete. The more you do the more fatigued you get until your body repairs, then you feel stronger and the process starts over again. Fatigue like stress is your friend in that it forces you to pause for a moment to heal. Then there is a window of opportunity when you have a moment when you do not feel quite so fatigued. This is when to apply DARE again, with the emphasis is on choosing to “Engage” again. I also think of the analogy of the tempering of steel to make it stronger. The smithy heats the steel up red hot, then plunges it into cold water, repeating this over and over until satisfied it is strong enough to withstand great force. For success keep working at it and over time like anxiety fatigue you will fell less and less fatigued and become strong and resilient.